Anybody that knows anything about me will know that I’m not a very spiritual person, or at least in the traditional sense of the word. I’m a strong willed atheist, I don’t believe in horoscopes and the zodiac, Feng Shui is another name for good taste and even yoga hurts just to watch. If asked about my spirituality I might answer ‘I used to enjoy a gin and tonic,’ and questioned as to whether I have any faith at all, I’d say, ‘yes, I have faith that what you’re saying doesn’t make any sense to me.’ The extent of my spirituality is of being at one with nature and believing in the genuine goodness of man, despite the world around me often trying to prove otherwise. However, I can’t deny that it was an absolute privilege to recently spend a morning in the presence of The Dalai Lama. With Leslie securely tucked away at an Ashram for a (spiritual) yoga and meditation retreat, or put simply, to escape the madness of India and retain her sanity, I jumped on a bus north to trek in the Himalayas. I knew that my distant destination of Dharamsala has long been the exile home to His Holiness The Dalai Lama, but chatting to others on the 17 hour ride north, I learned I was the only one not going there to visit him. 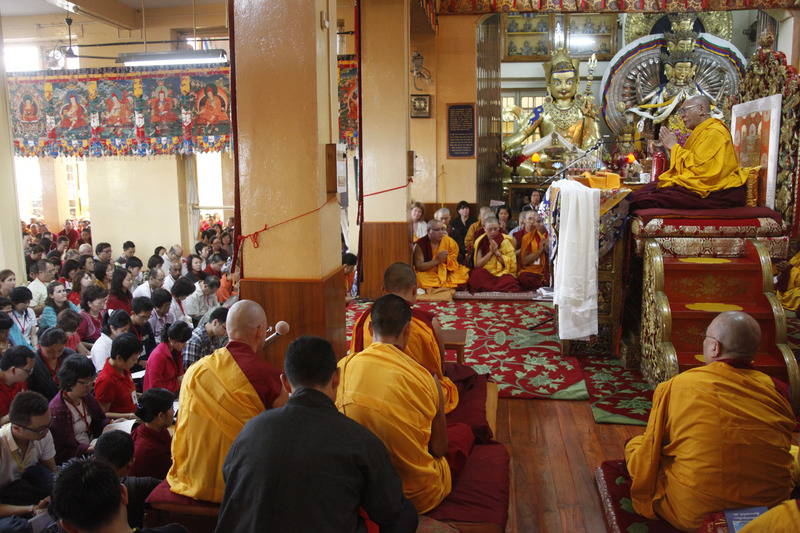 For 4 days each month His Holiness gives a series of Tibetan Buddhist teachings in Tsuglakhang temple, Mcleod Ganj, and he happened to be in residence during my visit. This was a one off opportunity, and my trekking could wait a couple of days. After registering the previous day for the grand total of 10 rupees (10p/$0.15) it was a cold and early start to the nearby temple. I had no idea what to expect, but as I drank hot chai on the chilly streets, the atmosphere was electric. I queued up and found a seat at the rear of the temple’s upper floor, and waited patiently among an eclectic mix of devout monks, loyal pilgrims, and the simply curious, like me. A hush descended over approximately 1,500 people crammed side by side on floor mats, everyone straining to catch a glimpse of the D.L as he made his way to the Holy seat on aging legs. I won’t deny I was caught up in the moment, and sat excitedly on a sore bum for the great man to speak. Each of us were given printed handouts detailing the speeches he’d make, and I’d rented some headphones to listen to the translation; I was all set. Once he had slowly taken his seat and waited for the congregated masses to settle, he began, and his voice was smooth and confident. I listened. I know this sounds terrible, but I’d be lying if I said I was genuinely interested in what he was saying. As I said before, I’m a simple man who believes in little beyond even simpler human nature; kindness, compassion, humility, and I’m the first to say I am a work in progress, with some way to go before I can say I’m as kind, compassionate and a humble person as I could be. But just sitting nearby and listening to and reading about The Dalai Lama inspires one to be a better individual, and I must say that it was a very positive experience in my quest for betterment, and in time perhaps finding some semblance of spirituality in myself and in others. Sat nearby me was an equal mix of foreigners and monks, far more rapt by the teaching than I was. But one monk, a modest looking fellow of about 50 years, resplendent in the traditional gold and maroon of Tibetan monks, kept catching my eye with a hint of mischief in his own. Cameras aren’t allowed in the inner sanctum of the temple, so I took out a sketch book and began to scribble a portrait of my new friend. 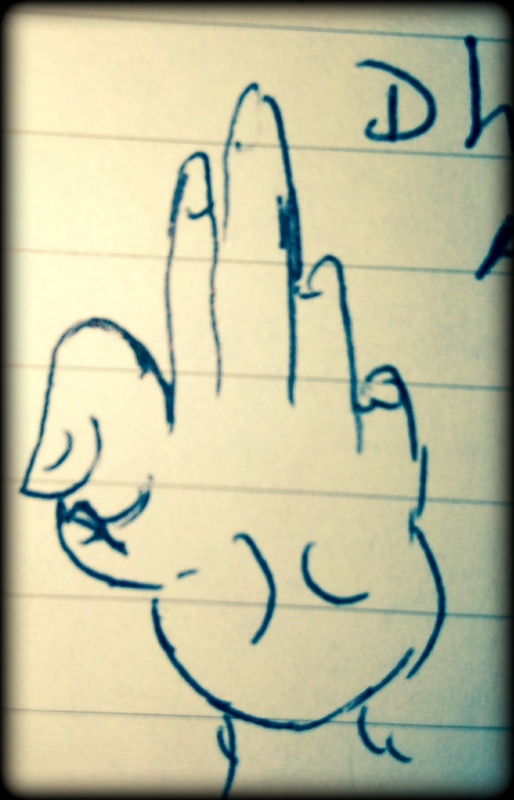 It might be the worst sketch I’ve ever made, but when I handed it to him, he and his friend could barley stifle their laughs in that oh so respectful of places. What had I done? Next I was instructed to sketch a rather portly fellow sat in front of us. Behind his back I sketched, then handed the unflattering drawing to my friend. Mistake! He promptly handed the page to the guy, who was so clearly unimpressed by the over-sized caricature that I thought he might turn round and punch me one. Thanks Mr. Monk…glad the big guy remembered where he was. Next up it was my turn to be sketched, and here is the result- not much better than mine, but I think he’s caught my nose! There was an interval during the teaching, and soon my friend and I got chatting. 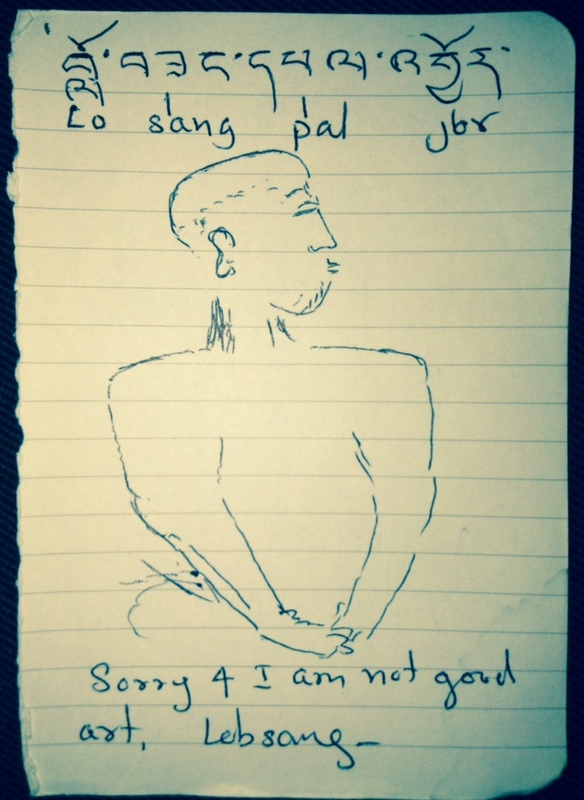 His name is Lobsang Paljor, 48, from Monglash, Tibet, and his is an incredible story. Lobsang was a novice monk during the Chinese annexation, where all monasteries were being limited to the number of novices allowed, 25, and this under pain of death. Lobsang desperately wanted to continue on his learning path, so he had only one option; he had to flee Tibet. In 1985, aged 19, Lobsang and his family walked, for 25 nights, through extreme cold and dangerous conditions, under constant threat of capture and persecution and death. Beneath a veil of icy darkness, they survived on water and luck, and finally made it to the relative sanctuary of India. Once safely across the border they eventually reached Dharamsala, where His Holiness has lived in exile since 1959. Here, under The Dalai Lama, Lobsang continued his teaching, and after a further 10 years, was posted by his leader the D.L to a small town near Goa in the south, where he lives to this day, himself a teacher of kids on the path to enlightenment. I met Lobsang on his annual visit to sit with the Dalai Lama, while also visiting his family that remain in Mcleod Ganj. 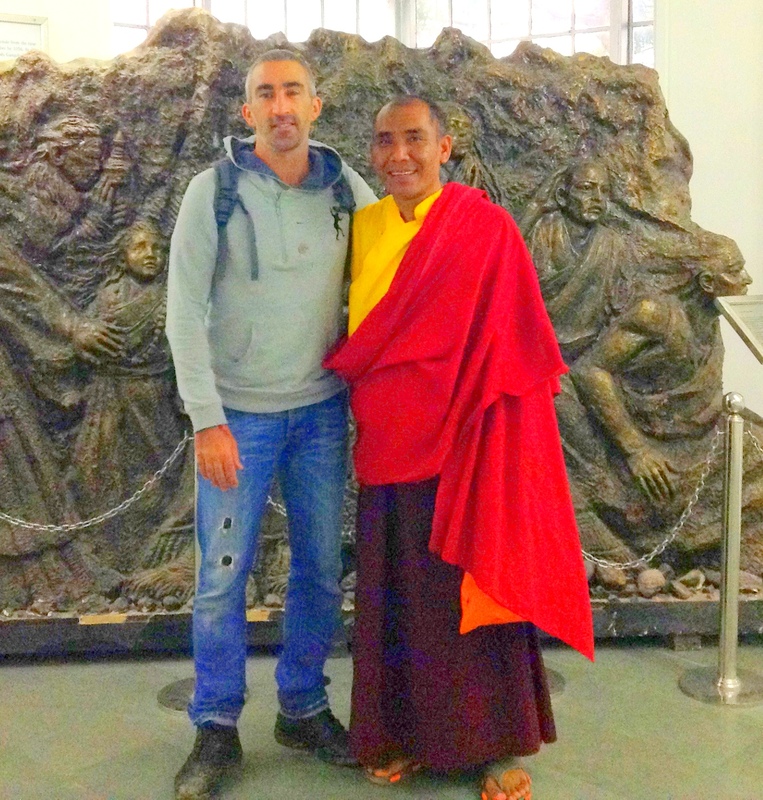 I guess that Lobsang has heard his spiritual leader so many times, and knows the lessons so well, that he seemed more interested in chatting to me and causing mischief than listening. He assured me that his good friend The Dalai Lama would approve. Lobsang and I hung out a little more, and he told me stories of himself and his family, and about how life has changed for the average Tibetan. Nomadic by tradition, Tibetans rely on their livestock for survival. Back in the good days before Chinese occupation and oppression, a Tibetan family would own between 50 and 100 yaks and goats. But now, any animal over the quantity of five means a fine of 500 Chinese Ruans, £50 or $80, a crippling fortune for the tribes of Tibet. Beatings, imprisonment and torture are regular occurrences, and conditions are brutal, harsh and hostile under Chinese rule. 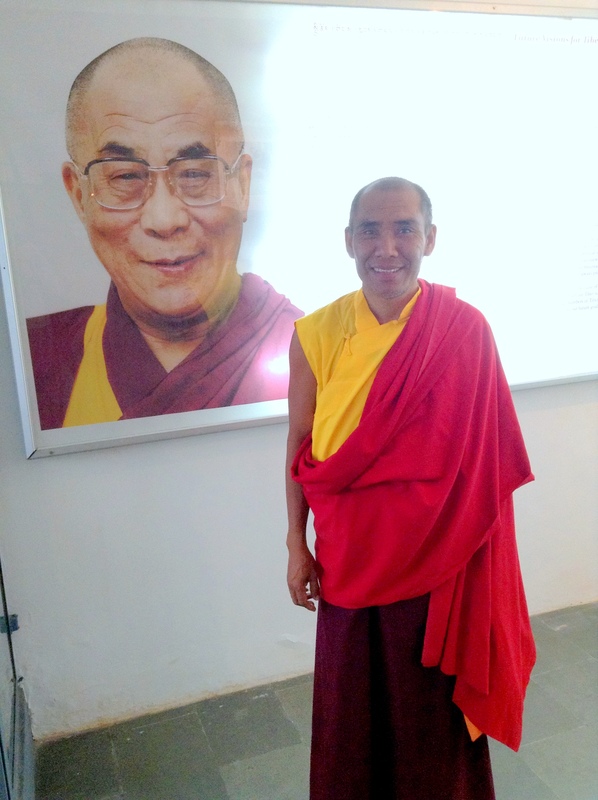 I went to witness the teaching of The 14th Dalai Lama, and was fortunate enough to spend time with one of his many disciples. It was an intriguing and inspiring few hours, and one that I will remember for a long time. Lobsang is an enchanting and colorful character, who exudes peace and positivity, all of which he draws from his Holiness The Dalai Lama. I can’t say that I have become any more spiritual from my experience. But I can say without hesitation, that whenever I feel that I’m having a bad day and start to feel sorry for myself, I will think of Lobsang and the many thousands of persecuted Tibetans, and beyond to all the people of the world who are struggling to survive on a daily basis, whether it be from hunger and disease, religious persecution or tribal and ethnic differences, poverty or dictatorial regimes. I will not forget how lucky I am to have the life I have and the freedom to choose how and where I live it. 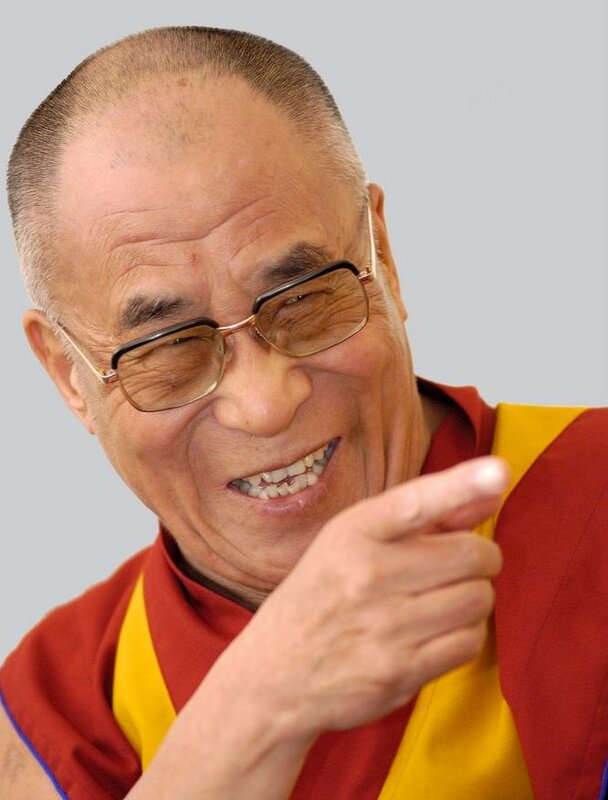 The Dalai Lama is probably the single most respected human alive on the planet at the moment. He is Buddhist, and yet he preaches only about love and respect and understanding between all men. His message is pure, and it’s difficult to understand how anyone, from any background or religion or tradition, can not be moved by its power. So many inspiring words have been said by His Holiness over many decades, and it is difficult to choose which quote to finish on. But chosen I have, and I hope the words ring as true with you as they do with me. “This is my simple religion. There is no need for temples; no need for complicated philosophy. Our own brain, our own heart is our temple; the philosophy is kindness.” The Dalai Lama. The Free Tibet Movement needs your help. Click HERE to find out how you can help these peaceful people free themselves of the brutal, unjust oppression and occupation by the Chinese Dictatorship. Beautifully written article Steven. Such a real culture exchange reminds me of why I enjoy traveling so much. Learning about the background of someone else makes you realize how incredibly lucky we are at times. I can totally relate to what you are saying here. Thanks a lot for the share mate. Thanks so much Andy. I try to write honestly, and some people may not like that but it’s who I am. It was an amazing experience, if a little different from most people’s. Cheers. Het Terri. Thanks, but not sure it’s my best, though it was great fun to recall and write about. I’m saving my best for the novel, but you’ll have to wait for that. Thanks as always for the comment and the support. Cheers.